…originally the lumberman was highly selective. He wanted nothing but pines, and they had to be fully grown; he took only the larger ones, and only those that grew near running water. Now [That is, after the development of better tree-cutting instruments and the construction of narrow-gauge railroads deep into the Michigan forest.] he realized that he wanted everything, and so he took everything. He could use small pines as well as big ones; more important, he could use hardwoods as well, because the railroad could move hardwood logs as readily as logs of pine. All of the old limitations were gone. The lumberman could go into every corner of the forest and cut down all the trees, and that is exactly what he did. He still preferred pine, but by the 1890s the end of the pine supply was in sight, and so while a number of operators dismantled their mills and tracks and moved out of the state in search of virgin timber farther west, a good many remained and went after the hardwoods. Grand Rapids took walnut, oak, maple and black cherry and before long was boasting that it was the furniture capital of the United States, or possibly of the entire world. Traverse City suddenly discovered that it[s] largest single employer of labor was a mill that made hardwood chopping bowls, salad bowls, butter bowls and so on. Out of the dwindling forest came railroad ties, telephone poles, fence posts, shipyard timber, and blocks cut from pine stumps to be used for matchsticks. Even the supposedly worthless aspen, that came up in matted profusion when a stand of pine was removed, became an article of commerce; men could use it to make boxwood, or feed it into the pulp mills to make paper, and boats and trains that once carried saw logs went off to market loaded down with the slim logs of aspen. So over most of the state of Michigan the forest was destroyed, with single-minded dedication and efficiency. Sometimes it seemed as if men of that time actually hated trees…. Taken from chapter 6, “Death of a Wilderness,” in Bruce Catton’s Waiting for the Morning Train (Wayne State University Press, 1987), pp.117-118. As promised in my last post on this book, we have to face what the greedy lumber industry did to the Michigan wilderness. Catton doesn’t hide the sad history of what man did to the beautiful forests of Michigan’s north country. While there are still glimpses of what once was, it is hard to imagine the trees that formerly covered the area of Benzonia County and beyond. And with that destruction of the wilderness, as Catton notes, went the killing of bird (passenger pigeon) and fish (the grayling in the Au Sable River, for example), and even people, for the industry also produced massive forest fires. Such is another manifestation of the sinfulness of man. Created a steward of the land and its resources, in his fallen state he recklessly rapes the land and ruins its resources, leaving a trail of barren wilderness, vacated towns, dilapidated buildings, and ruined lives. Such was “progress” in the industrial age, just as it is still man’s “progress” in this information age. Just the resources and tools have changed. Will we learn from this history? No doubt those outside of Michigan have heard about the fast, furious, and frigid winter that has descended on us here in West Michigan. After a beautiful, mild, drawn-out Fall, winter came with a flourish in mid-December and has not let up yet – although the hope of a “January thaw” is in the forecast for next week. These are pictures taken back and front of our home last weekend when we received over a foot of lake-effect snow in two days. And this week on top of 8-10 inches of fresh snow, it has been bitter cold – -3 (F) this morning and wind-chills below 0 (F) all day yesterday and today – and colder yet tonight! But, as you can see, there is a marvelous beauty that is revealed in God’s winter work. Truly, He makes a wonderland of white that covers all the death and decay underneath and around us. What a gospel picture! And His creatures all look to Him for food – the deer and wild turkeys have been coming close at Seminary, poking around in the landscape for food (where are those luscious hostas?!) – or visiting Prof .Cammenga’s bird feeders for free seed. How do we snow-stricken, frozen-chosen Michiganders cope? Why, we get out and enjoy the snow, of course! Monday, a few brave souls in our family – including some grandkids for the first time – went cross-country skiing at Pigeon Creek Park west of us. It was cold but was it ever beautiful in the woods and along the creek! And if one really wants to have fun, do some backyard ice bowling! [This video appeared on MLive this week.] See what you are missing! Late this (Saturday) afternoon my wife and I went out to Holland State Park to see Lake Michigan. Word was that the ice formations were amazing, so we decided to check things out, partly because the time-frame for seeing ice caves, etc. can be so short. Though we have seen icier conditions, it was still good. Here are a few pictures I took with my phone. Yesterday was the final day of the Association of Christian Librarians’ Conference, held this week at Cornerstone University in Grand Rapids. 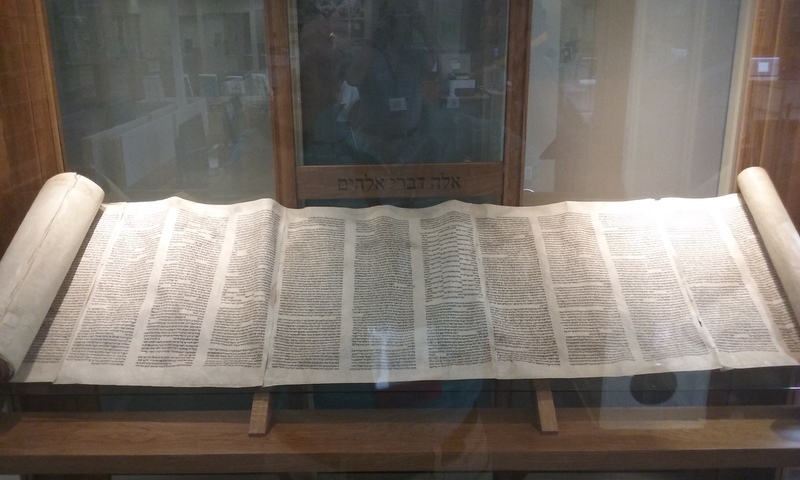 By the way, while working in the library for a while during a break on Wednesday, I discovered that CU’s Miller Library has a Torah scroll on special display. Impressive display room – you may actually walk into it and examine the scroll up close! Each day of the conference began with a devotions and worship time (8 AM), but I missed those due to my other duties. I did, however, get to all but one of the workshops I signed up for, including two yesterday. Let me say something first about the special “solo librarians” meeting I attended Wednesday night. This is a special group (and online discussion group within the ACL network) in ACL for librarians who work alone, or with a very small staff. While there are large libraries employing many librarians that belong to ACL, there are plenty of us “small” people working in small institutions. And we have our own unique challenges and struggles (blessings abound too!). I found it very helpful to be able to sit around a discussion table with these Christian colleagues for over an hour (including prayer time) and talk about things on our minds. This being my first experience, I mostly “listened in,” but I did find a few opportunities to ask questions and contribute to the discussion. And again, I found myself drawn to the “solos” at meal times and free times too, so that I could continue to benefit from good talks – especially with those librarians who work in small seminaries such as ours. Some of the key things I wanted to discuss were what programs do their libraries use (for technical services), what policies do they have in place, and how do they teach information literacy. Yesterday morning I attended two workshops. The first was a great follow up to our “solo librarians'” meeting the night before, as this workshop was specifically on how to thrive as a “solo.” Presentations by six different solo librarians were given (two by video), all of them helpful and encouraging. They key thoughts were “persevere” and “keep evaluating and making improvements” (personally and institutionally), even if they are small. Especially encouraging (moving, even!) was the talk by Paul Roberts, a “solo” (and a ACL Board member) from Southeastern Bible College in Birmingham, AL, whose school suddenly closed on May 31, leaving him along with many others without a job. He spoke about “scriptural encouragement,” and in the light of the sudden change in his own life, about how important it is to walk close to the Lord, in the Word and prayer each day. I learned quickly to appreciate this humble servant of God. 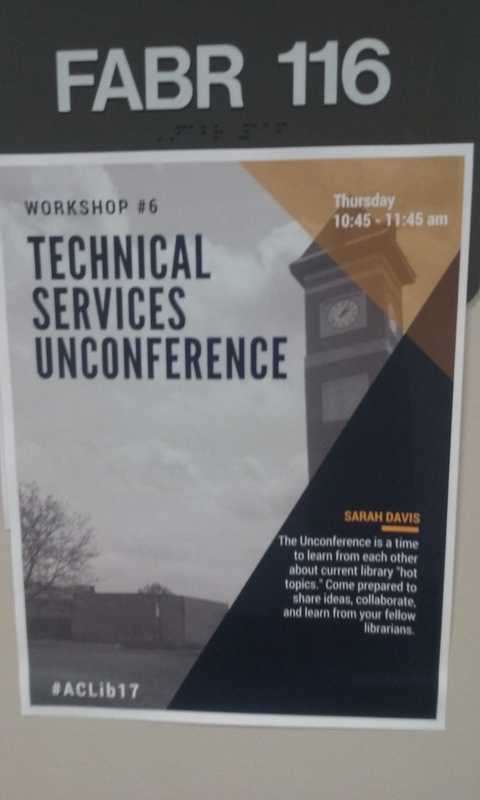 The second workshop was an “unconference” one (just means it was not specifically planned by the conference team) on library “technical services.” A librarian from Judson College in Marion, AL led a valuable discussion on how our libraries can best carry out these services. While the presentation was simple, the discussion was fantastic – I learned a lot about cataloging, preservation, and maintenance of collections! 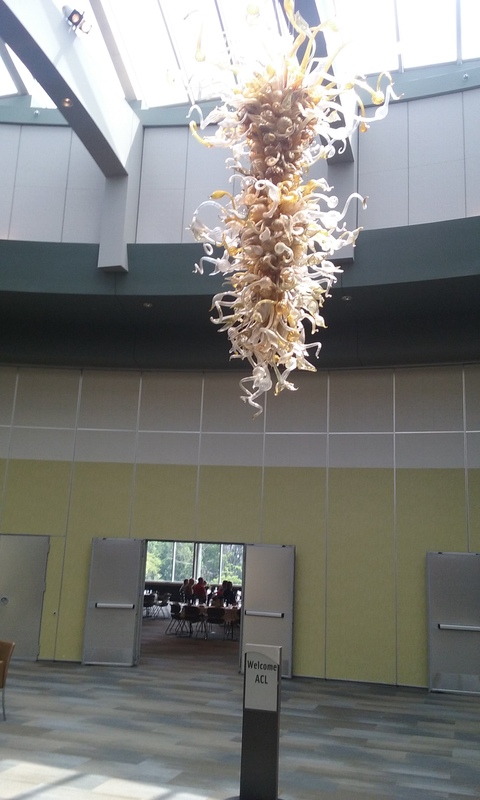 At noon we gathered at the Frederick Meijer Gardens across the street for a fabulous banquet and tour of the gardens. The meal was amazing, the fellowship rich, and the tour was…. Let’s just say I had to (wanted to!) leave early so as to catch the end our senior seminarians oral exam at synod at Hudsonville PRC. As you now know, all seven examinations were approved and all seven men declared candidates for the ministry of the Word and sacraments in the PRC. Graduation was held last night – a happy time for the men and their families, and for the churches. So thankful for these fine young men. For more on this, visit this news item on the PRC website. 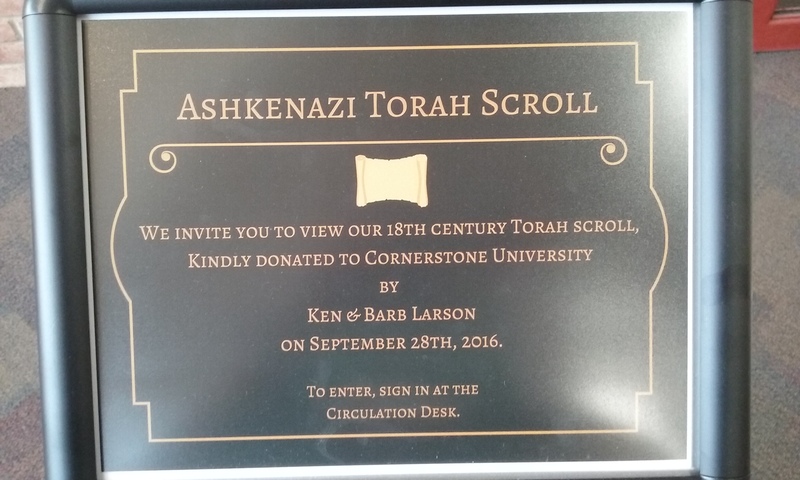 I am excited to attend and report on my first ever Association of Christian Librarians’ Conference, being held this week at Cornerstone University in Grand Rapids. Yesterday the conference began, including a special “meet and greet” for us “first-timers”, and I was able to connect with some new people already, including librarians from Dordt College and Liberty University among others – even an excited young man from Tanzania! Today the main conference begins with a keynote speech this morning by Stephen J. Bell of Temple University and then various workshops and sectionals, including one for “solo” librarians (like myself) and a brand new one for seminary librarians. I am looking forward to learning new things and networking with new people to gain new information so as to better serve as librarian in our seminary. The ACL also publishes its own Journal, The Christian Librarian, which is now available online here. Perhaps a little humor is in order from my first-day conversations with several librarians about cataloging. 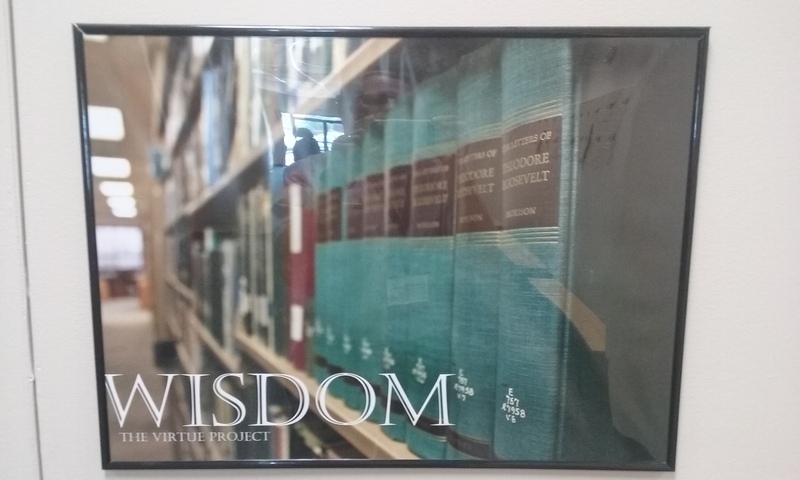 We were discussing the importance of getting the right subjects in the record, and one librarian said he found a record recently on a work about God’s sovereign control of all things under the subjects “God” and “Providence”, with the words “Rhode Island” behind it. Oops! We have been calling attention to a new book from local author David Murray (Puritan Reformed Seminary) published by Crossway – Reset: Living a Grace-Paced Life in a Burnout Culture (2017). It is written with men especially in view, men in danger of burnout, as the title hints. After chapters on doing a “reality check” (repair bay 1) and performing a “review” of our lives (repair bay 2), Murray takes us into repair bay 3, where he points us to the need for “rest.” And the rest he has in mind in chapter 3 is that of sleep – real, physical, lasting, fulfilling sleep. Which is deeply spiritual at the same time. I don’t trust God with my work, my church, or my family. I don’t respect how my Creator has made me. I don’t believe that the soul and body are linked. I don’t need to demonstrate my rest in Christ. If you are a busy man who is sleep-deprived (self-induced, that is! ), that theology of sleep hurts. Because the truth always hurts. And those five points convict us of what is going on in our souls while we are depriving our bodies of the rest we need and were created for. But Murray carefully eases the pain by directing us to the benefits of longer sleep (physical, intellectual, emotional, financial, moral, and spiritual, etc.) and providing some helpful “sleeping pills” (discipline, routine, exercise, contentment, faith, humility, napping [that’s one of my favs – the “power nap” after supper!]. Ultimately, sleep, like everything else, should lead us to the gospel and the Savior. First, it prompts us to think about death, that we all shall close our eyes in sleep, and wake up in another world (1 Thess.4:14). It also teaches us about our Savior. The fact that Jesus slept (Mark 4:38) is as profound as “Jesus wept” (John 11:35). It reminds us of Christ’s full humanity, that the Son of God became so frail, so weak, so human that he needed to sleep. What humility! What love! What an example! What a comfort! What a sleeping pill! It illustrates salvation. How much are we doing when we sleep? Nothing! That’s why Jesus used rest as an illustration of his salvation. ‘Come to me, all you who labor and are heavy laden, and I will give you rest’ (Matt.11:28). It points us toward heaven. There remains a rest for the people of God (Heb.4:9). That doesn’t mean heaven is going to be one long lie-in. It means it will be a place of renewal, refreshment, comfort, and perfect peace [p.70]. Isn’t this a much-needed tonic for us as we end this week? After a busy week and a beautiful spring day today in which I again tried to cram too much in, my body – and soul! – are crying for rest. Yes, I did have my power nap. But I need more. More sleep and physical rest. But also, more of the theology of sleep. I need the gospel of grace. I need Jesus. I need His rest. I need heaven. What about you? Which reminds us that tomorrow is God’s wonderful rest day. The Lord’s Day! Precious, wonderful rest is waiting for us in Christ. A glimpse of glory. A foretaste of our forever with the Lord. Will we enter into it by faith and receive and rejoice in its benefits? It will help us to spend tonight in sweet sleep. Being one of the editors (managing) for the Standard Bearer magazine, I have to know my rules of English grammar and punctuation. When I first took over that position from Mr. Don Doezema three years ago, I had to re-learn a lot of rules. I learned much from asking “Mr. D” those first few years too. And, of course, one of the things he advised me to do was to buy the latest edition of the Chicago Manual of Style, which sits right at my elbow when I work on the latest issue of the SB. There isn’t an issue that goes by that I don’t have to consult that grammar “Bible”. But I also look for other quick sources for grammar help. Yesterday I stumbled on the website linked below – GrammarBook.com, associated with Jane Straus and her Blue Book of Grammar and Punctuation. You can sign up for their newsletter of grammar tips and helps, which I did, and today I received this first one. It points out the number one grammar error, and it may surprise you. Since we can all use a little help with proper English grammar, I share this first tip with you. Would you like to know the #1 Grammar Error? Hint: The word involved is small and it’s contained in this sentence. Yet the two rules are actually quite easy to remember. The cat hurt its paw. The furniture store celebrated its tenth anniversary. Note: From what we understand, the possessive was also written it’s until a couple of hundred years ago. While we don’t know for certain, it is possible that the apostrophe was dropped in order to parallel possessive personal pronouns like hers, theirs, yours, ours, etc. To see more and to sign up for this newsletter, visit the link below.